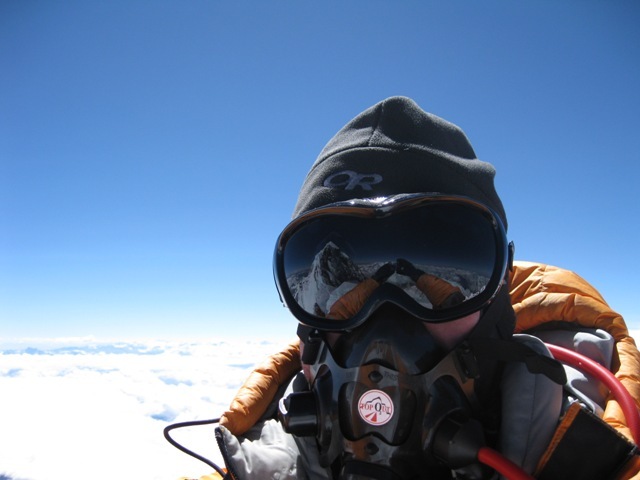 How much oxygen will there be at Mount Everest? Contrary to popular belief, the percentage of oxygen in the air doesn’t change significantly with altitude up to about 85km from the earth! At sea level, oxygen comprises approximately 23% the air by weight and on the summit of Mount Everest it still comprises 23% of the air. So what happens? 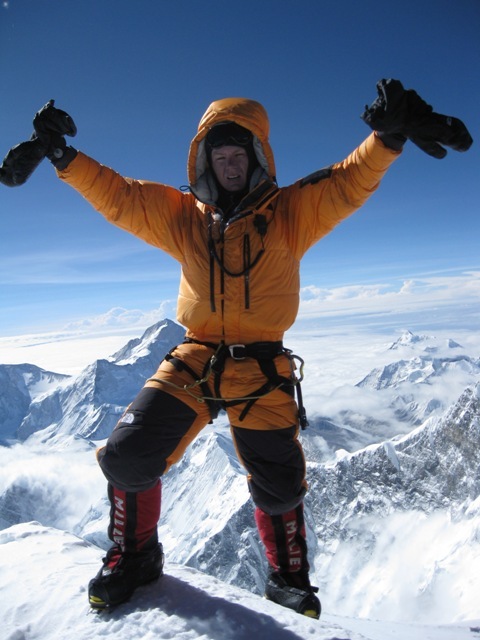 Why do you feel out of breath when you are up high and why do almost all climbers need oxygen to climb Mount Everest? The further away from sea level you are, the pressure of the entire atmosphere decreases so in effect, there is less air to breathe. Less air means less oxygen. So it’s true that there is less oxygen the higher up you go, but there is also less nitrogen, argon and other gasses that make up the air we breathe. Nothing changes to the proportions of the gasses in the air, however one breath will deliver less oxygen to your bloodstream, hence you will feel out of breath. At the summit of Mount Everest at 8850 metres, there will be approximately 33% of the oxygen that is available at sea level. That’s like climbing up stairs and only getting 1 out of every 3 breathes! The graph below compares the amount of oxygen available in a given volume of air at altitude relative to the amount at sea level for the same volume. On arrival at altitude, there are a number of physiological changes that occur, which enable the body to function optimally in the low oxygen environment. The process by which individuals gradually adjust is known as acclimatisation. The initial and most important adjustments are an increase in the frequency and depth of breathing. This begins to occur at altitudes of just 1500m. The heart pumps faster and blood pressure rises. Importantly, red blood cell production increases, resulting in an increased haemoglobin concentration, which is required to pick up oxygen and transport it around the body. These mechanisms enable the body to continue to deliver enough oxygen to each cell, despite the lower oxygen levels. At sea level our blood is 98% saturated with oxygen and this decreases to 89% at 3000m and reaches as low as 40% on the summit of Everest. 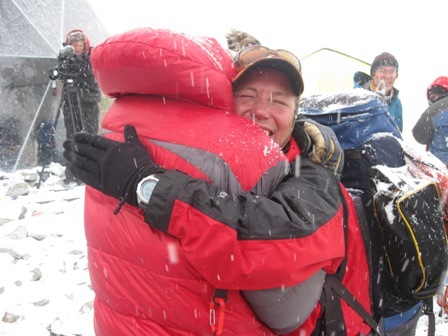 Without proper acclimatisation, there are three different types of illness which can occur; acute mountain sickness (AMS), high altitude cerebral oedema, and high altitude pulmonary oedema, with considerable overlap between the syndromes. These symptoms gradually appear 12-24 hours after arrival at altitude and begin to decrease in severity by the third day. The number of symptoms as well as their severity, rapidity of onset, and duration varies markedly among individuals. The golden rule in avoiding AMS is a graded ascent and not to go too high, too fast, thus allowing time for acclimatisation to occur. 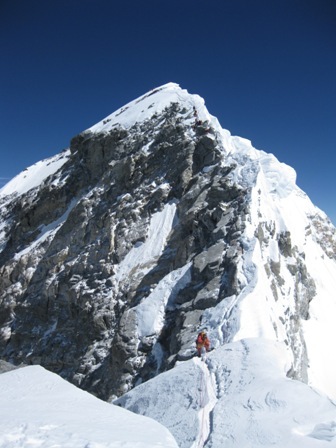 Although this is common knowledge to most mountaineers, many factors such a limited time, poor weather conditions, and the locations of suitable campsites make the rate of ascent guidelines very difficult in practise. (Currently it is recommended that above 3000m each night should average not more than 300m above the last, with a rest day every two or three days, or every 1000m). Most important though is not to ascend any further if experiencing symptoms of AMS, but to wait until the body acclimatises. In severe instances, AMS develops into cerebral edema (where the brain swells) or pulmonary edema (fluid build-up in the lungs). The only cure for these complications is to move to lower altitudes quickly (or use a Gamow bag which simulates lower altitudes). Although it does not seem to be a precise science, the best thinking on altitude acclimatisation is to expose the body to incrementally higher altitudes, and then either rest and wait at that level, or return to a lower altitude to allow the body to recover and produce more red blood cells. Once these acclimatisation rounds are completed, climbers are considered “ready” and wait at base camp for forecasts of good weather. Acclimatisation in most adults is possible up to about 5000-5500 metres but above this elevation there is a fine balance between adjustment to altitude and deterioration. 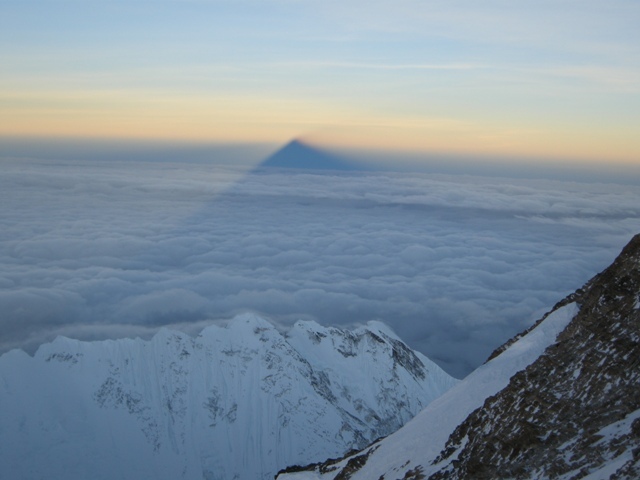 Above 8000 metres, no acclimatisation occurs and prolonged exposure leads to a deterioration in condition. This is why it is referred to as the death zone. Will I be using additional oxygen? 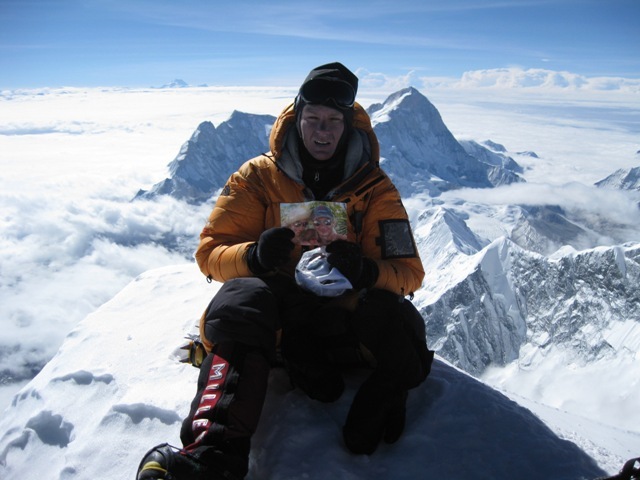 Bottled supplemental oxygen is used by most climbers venturing above 8,000 metres and almost all Everest climbers will be using it (including me – the Nepalese Sherpas also use bottled oxygen). The extra oxygen reduces the impact of the altitude by around 500 metres and also helps in making the body warmer.